If you would like to purchase excavation equipment in Montreal, Quebec City or anywhere else in Canada, Leblanc Financial Services team is here for you. Whether you are looking for a loader, a wheelbarrow, a conveyor, an excavator or any other equipment, our brokers will offer custom solutions to help you achieve your dreams. With over 45 years of experience, Leblanc Financial Services know what is important to you. That is why we will take the time to evaluate your needs and set up a financing plan adapted to the reality of your business. To make an appointment with one of our advisors, call us today. Leblanc Financial Services offer you two types of agreements: leasing, a very popular solution thanks to its simplicity and its tax benefits, and factoring, a solution usually designed for businesses facing liquidity shortages, such as start-ups or restructuring companies. 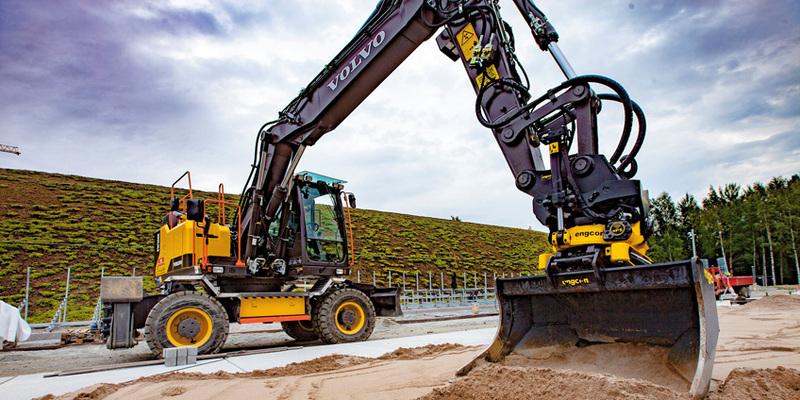 For enterprises located in Quebec, purchasing excavation equipment may be a big investment. Because we believe in local entrepreneurship, we crafted these customized financing solutions. No matter what your business needs, we will find the most suitable solution to take your business to the next level. Questions? Our team will be happy to assist you as soon as possible. Whether you are located in Montreal, Quebec, Sherbrooke or Gatineau, Leblanc Financial Services will assist you with the purchase of your excavation equipment. Does your company need a motorized wheelbarrow, excavator or articulated loader? No problem! No matter your situation, our experienced brokers will find an agreement in line with your means in no time. The completion of your projects is within reach thanks to the expertise of Leblanc Financial Services everywhere across Canada. To schedule an appointment with one of our brokers, contact us today. Our team will be happy to confidently guide you to the financing plan that best suits your needs. Why deal with a broker? A broker knows in detail the criterion for each and every financial institution approval. He will be able to compare the products offered and the monthly payments associated with each financial institution. After a careful evaluation of your needs, we will analyze the choices available to you in order to offer you the best product. Working with a recognized broker, you will save time and money, in addition to putting every chance on your side for your business to succeed! Rely on a professional financing team with Leblanc Financial Services.